Our sea turtle biologist, Stephanie, is stationed on Kuredu Island in the northernmost corner of Lhaviyani Atoll. She is there for a reason: Kuredu is home to the largest green sea turtle population in all of Maldives. Stephanie is working in cooperation with the local dive center Prodivers. She responds to reports of ghost gear and records the necessary data from the ghost nets to support ORP’s goal to identify the source of ghost nets in the Maldives. She also helps entangled wildlife. Additionally, Stephanie studies the resident sea turtle population of Lhaviyani Atoll with a specific focus on the unique turtle population around Kuredu. Unlike the rest of the Maldives, where hawksbill sea turtles are the most commonly sighted turtle species, Lhaviyani Atoll is a green turtle hot spot! 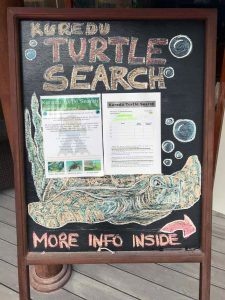 This is largely due to the turtle population directly around the island of Kuredu, where over 130 individual green turtles have been identified via Turtle Photo-ID. 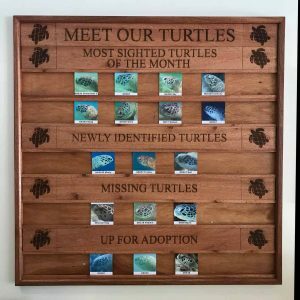 Stephanie has already added several more turtles to our database since her arrival in November 2017. Identifying individual turtles helps us estimate the size and structure of the total sea turtle population. We will also be able to confirm movements and site fidelity of the turtles in the region, thus help identify important habitats of the species and implement successful sea turtle conservation measures. 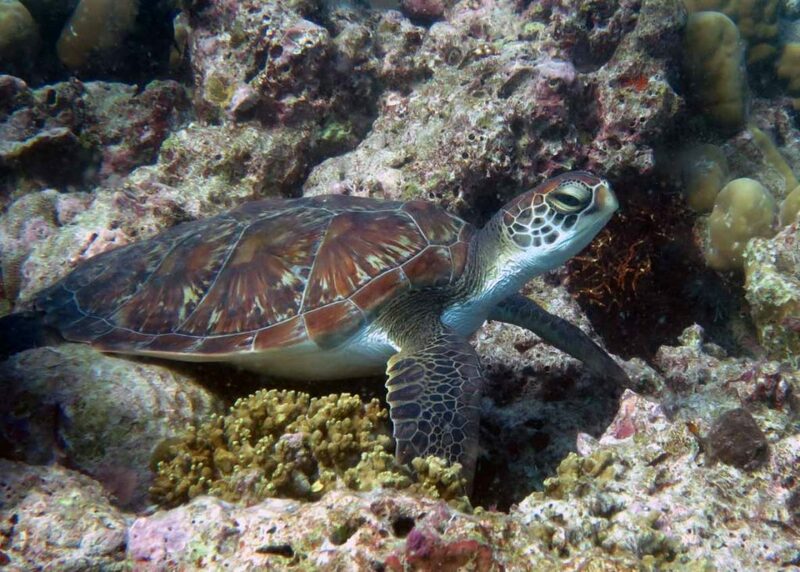 There are many open questions concerning the turtle population of Kuredu and Lhaviyani Atoll. Having a biologist on site year round will help ORP answer these questions. Stephanie can be found in the Marine Center on Kuredu. 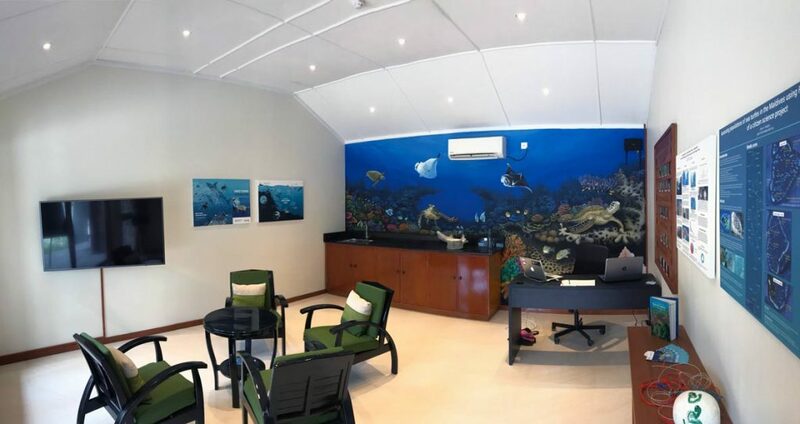 This newly opened office welcomes guests to walk in whenever they have any questions concerning the marine life around the island, and especially the sea turtles. Another aim stationing an expert on a resort island, is to spread awareness of conservation issues. Stephanie also joins snorkel and dive excursions, where she providea information on sea turtles and the Olive Ridley Project. 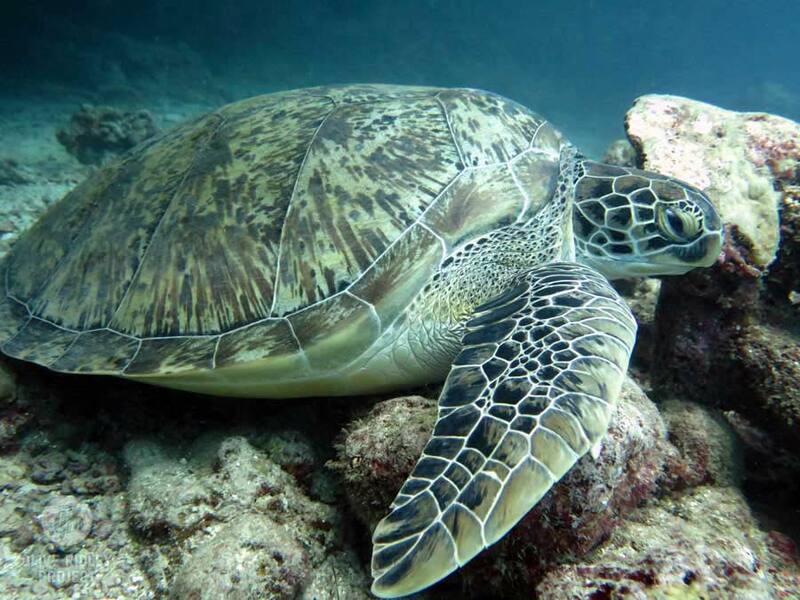 Guest may also join our biologist for a sea turtle survey – the so-called Kuredu Turtle Search! On the Kuredu Turtle Search, guests learn about sea turtles in general and the Olive Ridley Project and its mission. In addition to getting hands on experience in taking turtle identification pictures and witness different sea turtle behaviours.